Any size prop made , perfect for pop up shops, any colours, weird and wonderful prop making including stunning permanent exhibition exhibits, props for BBC worldwide reception area, Hyundai sculptures, Selfridges windows, Pepsi cola to name a few..Bespoke props as a prop hire or to buy. Perfect props for events and visual merchandising. 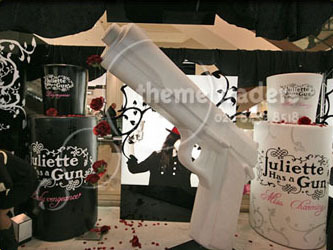 prophire have huge quantities of matching and themed fabulous quality props. Prop Making for hire or sale.